Glasgow is a compact and compelling city that has everything that you would expect —all while capturing the essence of the Victorian era. All of the main attractions are very close to each other and it’s very walkable. The people are very friendly and helpful when you are wandering, lose your way and need to get back on your path. 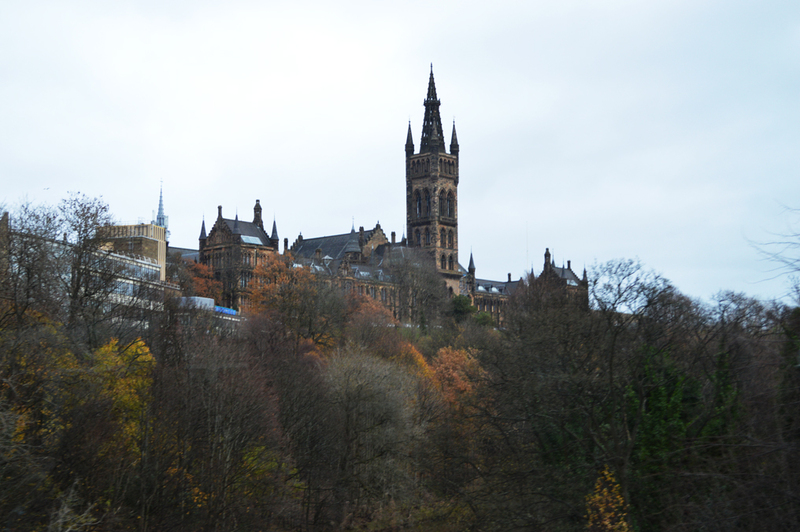 If you’re planing to visit this cosmopolitan city, check out some of our favorite things to do in Glasgow. Spend the morning taking a tour at the Glasgow School of Art designed by renowned architect Charles Rennie Mackintosh. All tours are done by students and they last for about an hour. Make sure to check out the library and at the end you will have the opportunity to view some of his other creations like chairs, tables and bedroom settings. Forget about colors, letters, numbers and transfers, this subway system will take you where you need to go and you won’t be getting lost since it’s only one line around the entire city going clockwise or counterclockwise. Winner of the 2013 European Museum of the Year Award, and designed by Architect Zaha Hadid, it’s a must stop for you or the entire family. You will find all transportation here from locomotives, velocipedes, one-of-a-kind vintage cars and a tall ship – Glenlee. Admission is free. Head to Glengoyne distillery, just about 20 minutes form the city center by taxi. Here you can buy different ticket options to tour the property and blend your own whiskey to take home. This is a great keepsake and an experience you’ll never forget! Visit one of the oldest English speaking universities founded in 1451— it’s also one of the top 100 universities in the world. The main building’s impressive Victorian architecture is not to miss. Just a short walk from Buchanan Street, this place has a relaxed atmosphere, great service, and if you’re looking for great food their sandwiches are the best and proportions are very generous. Enjoy a long walk to some of the best shopping all in one place. You can expect anything from a top luxury shop to some of the best bargains in town. Also, check out some of the side street restaurants, pubs and other must stops are along the way. Hop on the subway and just a few stops from the city center is the West End district of the city. It’s young and hip with plenty of boutiques, vintage shopping and cafes due to its proximity to the university. You might need to take a double look at this statue outside the Gallery of Modern Art on Queen Street, but the hat is a traffic cone. Rumor says that students every night come and throw a traffic cone in and police take it down every morning – I think it’s now permanent. Previous articleWhat’s the Best Way to Explore Archaeological Sites in Mexico City?